Ta'Kaiya Blaney and Naomi Klein have sent out an inspiring message about the growing power of the climate justice movement, and the need to ramp up action. 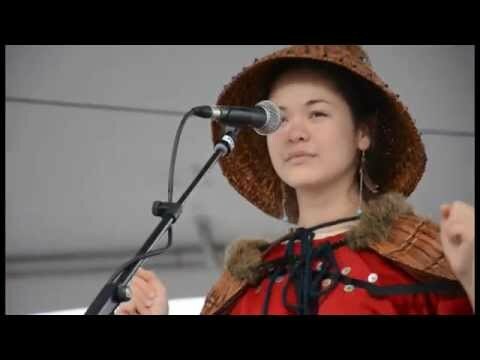 Speaking and performing before an estimated 1,500 people at a Vancouver rally, both expressed determination to build a movement powerful enough to push back the fossil fuel industry and create a more just society. The Nov. 4 rally was organized by CUPE to focus attention on The Leap Manifesto, a climate justice document already signed by many unions and other organizations as well as tens of thousands of individuals. It took place on the same day Climate Welcome started in Ottawa to pressure the new federal government to freeze oil sands expansion.